Consumers can now choose their own chef-inspired culinary adventure for quick and easy family meals. Orlando, Florida (May 4, 2018) – Fresh Express®, the brand that pioneered the retail packaged salad category, announced today the launch of Sauté Kits™, a delicious, chef-inspired hot vegetable dish ready in under three minutes. Available in four varieties, Fresh Express® Sauté Kits™ let consumers choose their own adventure by offering a blend of exciting, fresh vegetables along with delicious sauces like lemon garlic, teriyaki, lemon pesto and apple cider in a range of savory and complementary flavor combinations. The launch of Sauté Kits™ fills a void for consumers who find vegetables to be routine, unexciting and lacking flavor due to time constraints or being intimidated to cook vegetables themselves. Whether sautéing with shrimp or pairing with chicken, Fresh Express® Sauté Kits™ make it easier than ever to eat more flavorful, fresh cooked vegetables, offering an easy way to create hot meals the whole family will enjoy. The adventure starts here. Get your 5 servings of vegetables a day in a snap. Ready in just three minutes, Fresh Express® Lemon Garlic Spinach Sauté Kits™ will make it easy to get a serving of vegetables. Bonus if you include chicken and zoodles for an elevated meal. Lemon Garlic Spinach: Baby spinach, baby kale, red cabbage, carrots, broccoli, Brussels sprouts, cauliflower, pea pods, garlic, crispy onions, lemon garlic sauce. Move over, boring veggies. Did someone say bacon? The combination of sweet and savory greens make the Fresh Express® Bacon & Cider Greens Sauté Kit™ a favorite to enjoy over a bed of quinoa. Bacon and Cider Greens: Baby kale, red cabbage, Brussels sprouts, baby bok choy, bacon pieces, crispy onions, honey roasted soy nuts, apple cider vinaigrette sauce. Boost your confidence in the kitchen and stir up restaurant-quality meals in under three minutes. 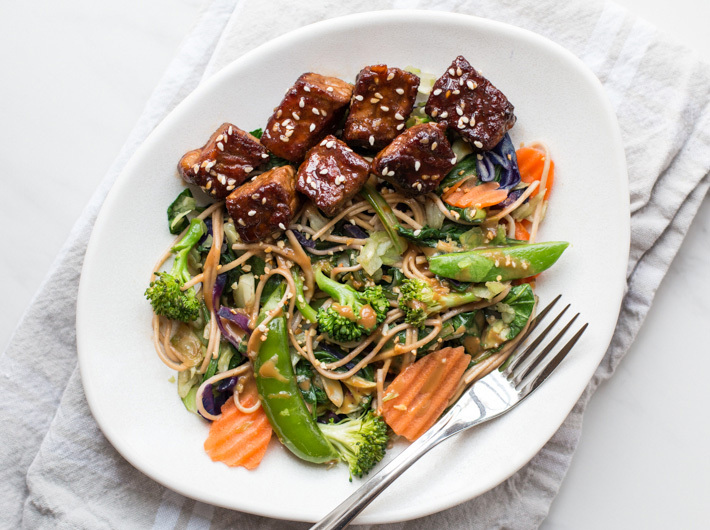 YouTube influencer Bobby Parrish helps you take all the guesswork out of creating delicious, chef inspired dishes like Veggie & Steak Lo Mein featuring the Fresh Express® Teriyaki Bok Choy Sauté Kit™. 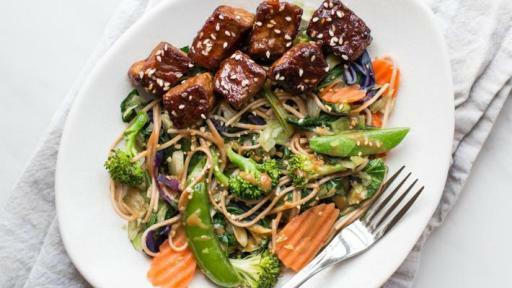 Teriyaki Bok Choy: Baby kale, green cabbage, carrots, broccoli, baby bok choy, pea pods, red cabbage, garlic, teriyaki sauce. 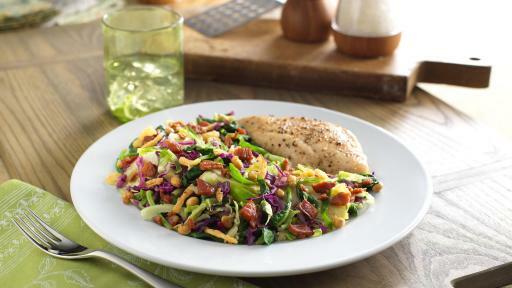 Complement fresh cooked vegetables with healthy fats for a tasty and nutritious meal. 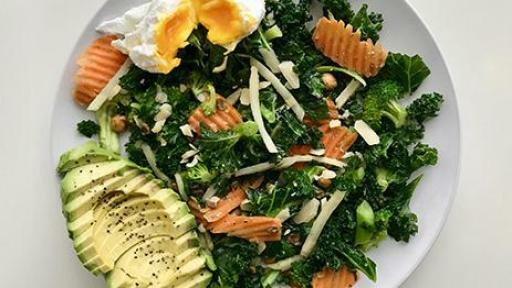 Spokesperson and Registered Dietitian Melissa Rifkin, RD recommends amping up the nutrient benefits of your Tuscan Kale Sauté Kit™ by adding healthy fats like eggs and avocado. 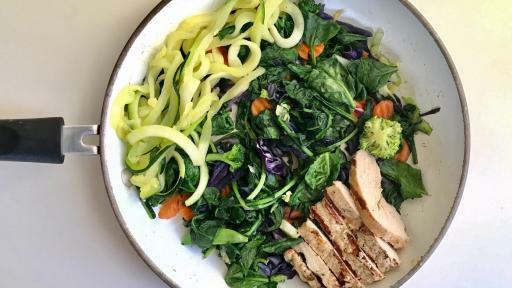 Nutrient-rich meals never tasted so good! Tuscan Kale with Genovese Pesto: Mature kale, broccoli, cauliflower, carrots, herb seasoned chickpeas, lentils, shredded Parmesan cheese, lemon pesto vinaigrette sauce. Beginning in early May 2018, Fresh Express® Sauté Kits™ will be available at retailers nationwide at a suggested retail price of $3.99. For more information and delicious recipe inspiration, visit www.freshexpress.com. Fresh Express® is the brand leader in Value Added Salads and is dedicated to providing consumers with healthy, convenient ready-to-eat salads, leafy greens, vegetables and fruits. With the invention of its special Keep Crisp® bag in the 1980s, Fresh Express pioneered the retail packaged salad category and was the first to make them available to grocery stores nationwide. Today, Fresh Express fresh salads come in more than 150 different varieties offering exciting new flavors and convenient new ways to meet the daily dietary requirements for both conventional and organic fresh produce. More than 20 million consumers each week enjoy healthy, convenient ready-to-eat Fresh Express salads, spinach, vegetables and juicing greens. For more information, visit www.FreshExpress.com.